If you suffered an injury because of the carelessness or negligence of Winn-Dixie in Miami, you should call a Winn-Dixie injury and accident lawyer to discuss your rights. The more time passes after an injury and accident in a Miami Winn-Dixie the more likely that your claim will be weakened or even lost. Therefore, if you were hurt in any Winn-Dixie in Miami, you can call the Miami personal injury lawyers at the Wolfson Law Firm for a free consultation to discuss your potential case. Simply call us at (305) 285-1115 and we can get started on working for you. Founded by William Milton Davis and his sons, the first Winn-Dixie started its business in Burley, Idaho after Mr. Davis bought a general store in 1914 which he would rename “Davis Mercantiles”. Sometime in 1925, Mr. Davis borrowed ten thousand dollars and moved the operations down to Miami Florida. At about the same time he purchased Rockmoor Grocery and renaming it to Table Supply in 1927. In 1939 after the passing of Mr. Davis and the control of the company moving to his four sons, the Davis brothers would buy 51 percent of Winn & Lovett, this containing a chain of 73 stores. More stores were bought and added in 1944 merging under the Winn & Lovett name. Over the years they went on to buy several chain stores, such as Steiden Stores, and Margaret Ann Stores, eventually becoming the first industrial corporation based in Florida to be listed on the New York Stock Exchange. In 2005 Winn-Dixie filed for bankruptcy, resulting in the closure of more than 325 stores. Ultimately the company pulled out of a majority of the states it previously had operations in. Eventually Winn-Dixie would emerge from bankruptcy, and would be bought out by BI-LO for $530 million dollars ending the 67 year ownership by the Davis family. Our Winn-Dixie injury attorneys in Miami can answer all of your questions following your Winn-Dixie injury. We offer consultations at no obligation. All you have to do is call us at (305) 285-1115. At the Wolfson Law Firm, our Winn-Dixie accident lawyers are ready, willing and able to represent you and your loved ones following a Winn-Dixie Supermarket accident in Miami. We can also help you if you were hurt in a Winn-Dixie parking lot in Miami; injured due to negligent security at Winn-Dixie; or if you were involved in a car accident with a Winn-Dixie vehicle or truck. Our Miami Winn-Dixie wrongful death and injury lawyers will handle your personal injury case from the very beginning to resolution. If Winn-Dixie fails to make a reasonable settlement offer, then we will file a lawsuit. 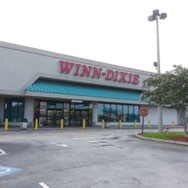 If Winn-Dixie refuses to reach a fair settlement at mediation, then we are ready to go to a jury trial with you. If an appeal becomes necessary, then we will represent you for that as well. At the Wolfson Law Firm, we handle all injury cases on a contingency fee basis in accordance with Florida law and Florida Bar rules. Simply stated that means you will never owe us any fees unless and until we make a financial recovery for you. When you are searching for the best Winn-Dixie injury lawyer to represent you and your loved ones, make certain that you are completely comfortable with your decision. Do your investigation and your homework. Always remember and never forget that you are the client. It is your case and it is your decision on what to do with it. Just call us with your questions at (305) 285-1115 and we will do our best to provide you with the information you need. Our Miami personal injury attorneys and wrongful death lawyers help Winn-Dixie accident injury victims in Miami and all of South Florida including the neighborhoods and towns of Hialeah, Miami Beach, North Miami, South Miami, Doral, Kendall, Liberty City, Miami Shores, Edgewater, Overtown, and Homestead.